There will be delicious food everywhere over the holidays and you don’t have to gain weight. This is the bottom line. And…here’s how to have a good time and enjoy yourself without having food regrets. The thing is that what you are doing right now actually sets you up for failure. 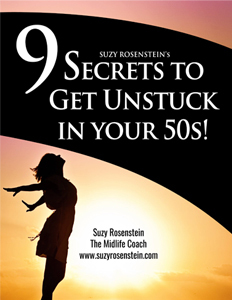 Most of us are midlife gals are trying to lose some weight and when the holidays come up, there’s some pretty consistent behavior out there. But…there’s something else you’re doing. Most of you are doing this. It’s become so common that you don’t even notice it. In fact, it’s become so common that you don’t even question it. You decide in advance that you’re going to gain weight. Crazy, right? But that’s essentially what you do. The thing is that when you think this way, you’re really thinking a thought that is optional. And…you are choosing to think it. You also may know that know that your thoughts create your results. But…what you may not remember is how this idea applies to the concept of you thinking that it’s impossible not to overeat over the holidays. And, it’s a pretty common to think like this. I bet you also think that it’s a FACT that you’re going to gain weight over the holidays. You’re thinking that there’s just no if’s, and’s or but’s about it. It’s as good as DONE. This is a good time for a little reminder. Gaining weight on a holiday is simply not a fact. 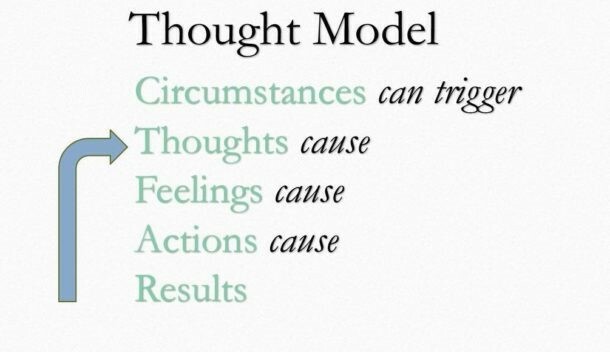 You may recall that the “thought model” is a tool to help gain more perspective on your thinking. The first line in the model is a “C,” which stands for “circumstance” or “fact.” Circumstances/facts are neutral. It’s something that happens or occurs. Other people observing it would agree. And I know that this idea that you’re going to gain weight over the holidays may seem black and white to you, but…it’s not. It’s just a thought. It’s just a sentence in your mind. You don’t need to think it. The fact in the situation is that there will be food over the holidays. The fact is that there’s a holiday. Perhaps even a holiday meal. Indeed, there will be food served at the holiday gatherings. Notice what happens when you think ABOUT this fact though, about an impending holiday meal or weekend, or season. Now that notice what happens next. You start to feel a certain way because of this thought. My clients have told me that they feel hopeless about their diet. I’ve noticed myself that I actually feel disconnected to my goals. Actually, I almost feel motivated to go off plan and eat whatever. You want to lose weight but somehow it’s so easy to chose to think a thought that makes it more difficult to lose weight. Remember, thoughts create our feelings. Then feelings lead to behavior. What are you likely to do when you feel hopeless? What are you likely to do when you disconnect from your goals? And your result? What happens to you when you eat whatever? And this, my friends, proves your thought that you will gain weight over the holidays. Even if you don’t want to. Your results prove your thoughts every day of the week. The good news is that you don’t have to gain weight over the holidays. Here are my seven best tips to help you enjoy the holidays without eating too much, having regrets and gaining weight. TIP 1. Practice leaving food on your plate. Take a look at your thoughts about leaving food on your plate. There are so many reasons that you might be struggling with this. Do you think it’s wasting money? Do you think that you deserve to eat what you’ve ordered at a restaurant or actually put on your plate at a house party? What do you think about choosing to continue to eat when you’re full? Write down your thoughts and be aware of what’s going on in your mind. It all starts here. TIP 2: Be aware of your thought that you’ll gain weight just because it’s a holiday. You are actually entertaining a thought that is directly related to you not achieving your weight loss goals. In other words, you are choosing to think something not helpful, on purpose. Why are you choosing to fail in advance? Because you think it’s too hard? That people will think you’re weird? That you don’t want to bother trying? That you worked hard and deserve it? Just notice what you’re thinking and remember that your thoughts will absolutely create your results. You can do what you want, but you really should like your reasons. TIP 3: Don’t eat when you’re full. Practice slowing down and noticing how hungry you are and how this changes over the course of a meal or an evening. Allow the urge to eat more rather than feed it. Watch it. Notice it. It will most likely pass more quickly than you expect. Remember that you have choices. It’s not a done deal. Strive for that feeling of satisfaction and lightness. Novel concept, right? You’ll love it. TIP 4: Plan in advance to pause while you’re eating and socializing. Make an active decision to create space without food…What I mean is TIME that you’re not eating so that you build in PREP TIME basically. Also time to drink water, maybe carbonated water. Prepare yourself to think about all of the food that will be around you. Know that there will be tons of goodies around – nuts in bowls, Hershey kisses out in a basket, lots of cheese and crackers. The works. TIP 5: Notice when you are hungry vs. when you just feel like eating. You can learn so much when you slow down and really focus on your hunger. This is especially important between meals, like when you’re just “around the food.” This is typically when you might graze, eat out of boredom or eat without really thinking. Ask yourself if you’re physically hungry or do you just have the urge to eat? Practice eating only when you are physically hungry. You’ll notice a big difference in how much you eat. TIP 6: Plan in advance to be selective about types of foods you’re going to eat, or not eat. For example, do you want to have wine, dessert, cookies, appetizers? Don’t just grab and eat. Don’t automatically eat everything you’re offered. Ask yourself, what do you really want to eat? Do you want to eat processed foods? Do you want to eat sugar? Do you prefer appetizers to sweets? If so, what choices could you make because of that? Do you want to drink alcohol? You can decide in advance to have one glass of wine, or to not drink at all. It doesn’t have to be whatever the host offers. You can decide to have one of those amazing cookies that your mom makes every year, but maybe not 10 of them. You can decide to have one plate of food rather than to go back for second helpings. You can decide to eat twice the amount of salad and not have dessert. So many choices are available to you. TIP 7: Practice thinking a thought that makes you feel motivated about losing weight over the holidays. This is personal, but I like to think “I’m open to the idea that I can have fun and eat intentionally.” Simple as this. This thought is a shift. You don’t have to lose control. You don’t have to zone out. You can have fun with the people and eat in line with your personal eating plans. Can you be open to the idea that you can feel light when surrounded by all of this food? That you can make choices based on what you want? That you can plan and stick to your plan? I guess the bottom line is, can you decide in advance to have your own back? I’m open to the idea that you can. What about you? How aware are you of the way your thinking relates to your eating? It’s so great to get a handle on understanding your thinking better so you can really see how you’re creating the results you have in your life. Even that number on the scale. I created the Funk-Busting Awareness Worksheet that helps you take a look at all of this, at what’s going on up there in your mind. It’s a free download and it’s yours! Let me know if you have any questions! Want to learn more? Click here to listen to the Women in the Middle Podcast episode on this same topic. Happy holidays!